127x27x10 Owned by C. Modderl, Windsor Ont. 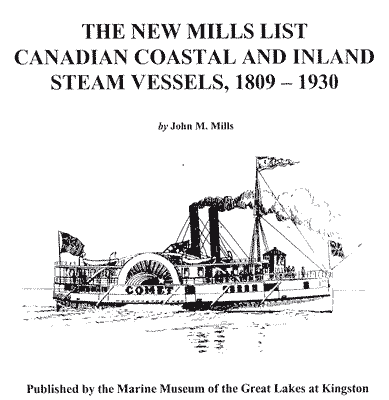 1886; International Wrecking Co., Windsor 1895; C. Beck, Penetanguishene 1901; Midland Transportation Co. 1914; to James Swift Coal Co., Kingston 1918; to Sincennes-McNaughton 1920; Consolidated Sand Co., Montreal 1927; Consolidated Oka Sand & Gravel Co. 1929. Built by H. Jenking, Walkerville 1881. Original engine 24x24 by Cuyahoga Iron Works, Cleveland (made 1869). Wrecked in gale 09/10/84 Port Arthur, salvaged. Badly damaged by fire 19/10/85 Windsor. Sunk in St. Lawrence 16/09/32.